Included in D. paniculatum in Michigan Flora. Dry, sandy, open forests, dry hillsides and banks, borders of dry forests. We here follow with some trepidation the splitting of the D. paniculatum complex into three species according to Isely (1983) and also annotations by J. Raveill: D. glabellum, D. paniculatum, and D. perplexum. 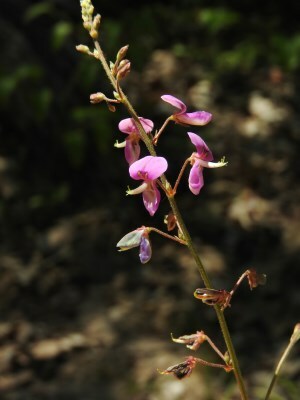 Desmodium glabellum is the most restricted in range and the least common of the D. paniculatum complex and has the broadest leaflets, only ca. 1.3–2.5 times as wide as long. MICHIGAN FLORA ONLINE. A. A. Reznicek, E. G. Voss, & B. S. Walters. February 2011. University of Michigan. Web. 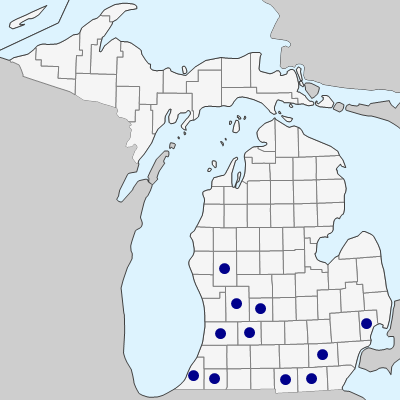 April 26, 2019. https://michiganflora.net/species.aspx?id=1291.